Fall Share Week 2 is gorgeous! 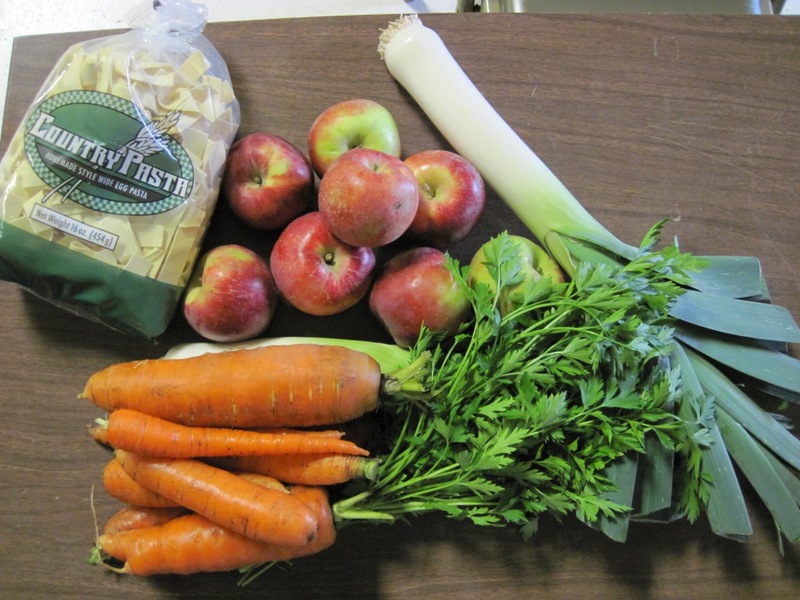 I am so excited about this week’s share: pasta, apples, leeks, parsley, and more carrots. I’m especially excited because Hubby brought home a deer this past weekend, and we are having venison stroganoff this weekend. The timing of the pasta, parsley, and leeks is perfect. With steamed carrots on the side…and an apple tart for dessert, perhaps? Boom! My work here is done. We have a nice surprise coming up probably Week 4 with another local product we just discovered! I’ll only say this–it will be a colorful breakfast treat. Hmmmmm…..I wonder what it could be?! I guess you’ll just have to wait and see! Fall is in the air today. It’s a chilly, overcast, drizzly sort of day. A great day for soup. Maybe butternut squash soup? Potato-carrot soup? Or how about a butternut squash and kale risotto? Or maybe roasted carrots and potatoes? There are several possibilities to use up these beauties. 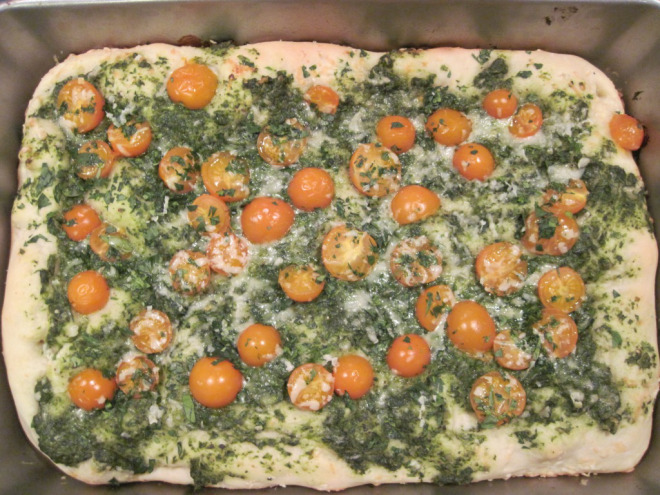 With tomatoes to remind us that summer hasn’t been gone for too long, we’re off to a great start with our fall share. 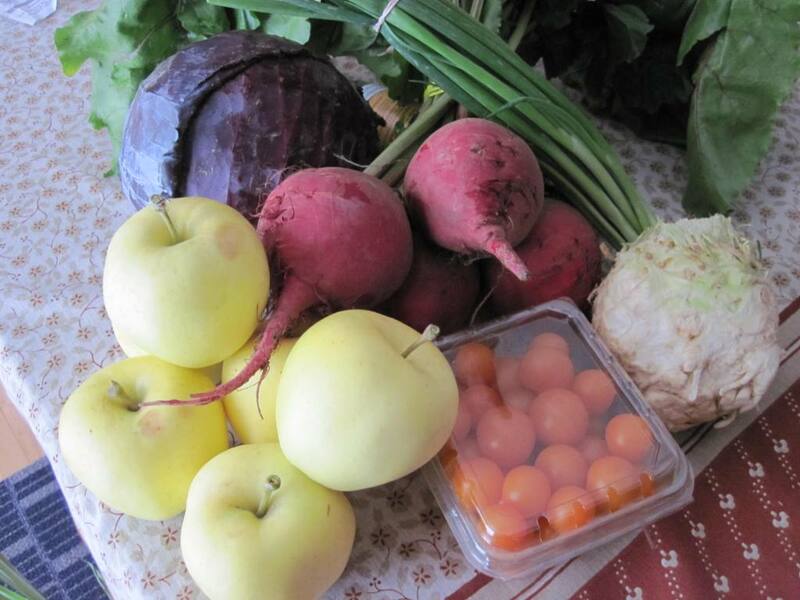 More root vegetables and leafy greens in your future for the next 5 weeks! 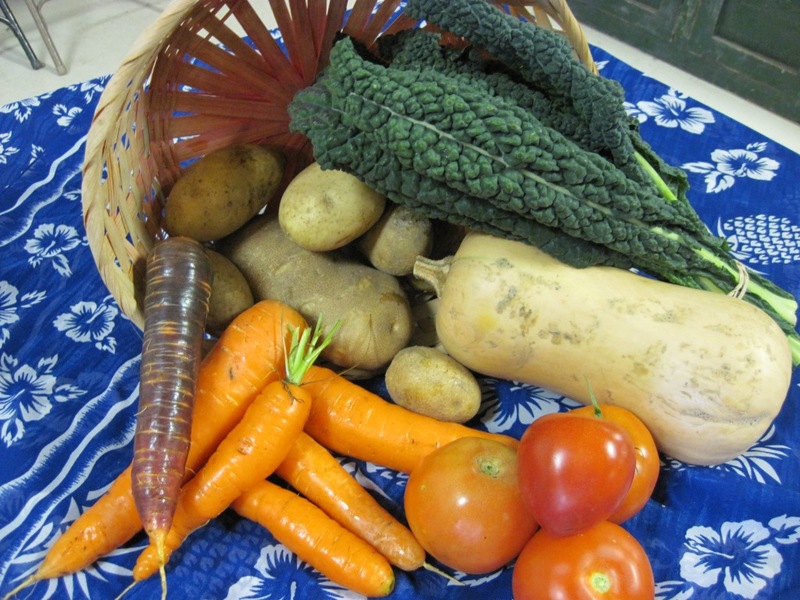 Week 19–hope you like carrots! We have a bumper crop of carrots for you this week! More beautiful, colorful ones like we got two weeks ago. If you can’t use them all up fresh, slice them and freeze them, then you can have them steamed all winter long. I also shredded several to use in making carrot cake this winter. We have some delicious Liberty apples this week as well. They have a nice tart flavor, so they would be perfect for a pie. But they are just as delicious for fresh eating! 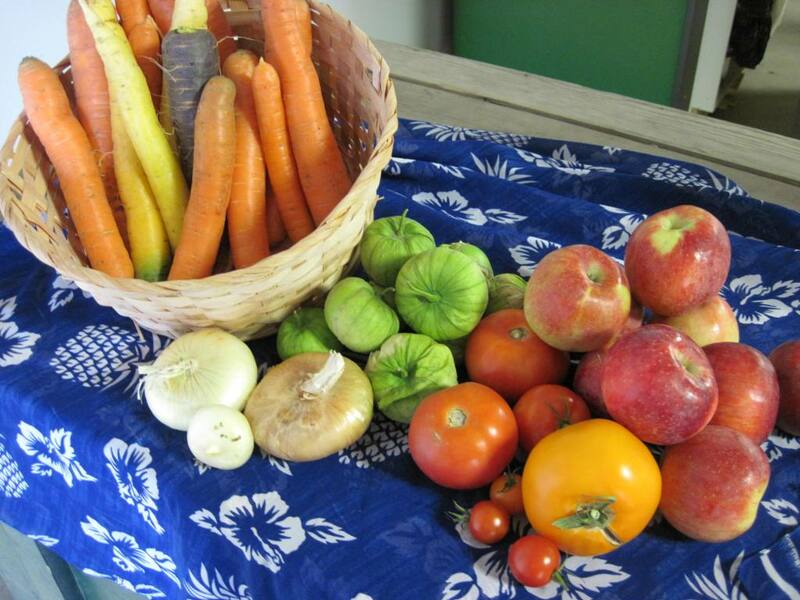 We round out our last-hopes-of-summer share this week with a mix of tomatoes, tomatillos, and cipollini onions. Fun share this week is linguine and broccoli raab sausage, so I’m going to use the tomatoes and onions to make a marinara sauce and we’re having a pasta night! Enjoy! Next week is our last week so if you want to keep the goodies coming for another 6 weeks, don’t forget to sign up for our fall share!